Plum Gear, a new rental service for boutique baby clothes, announced that they have opened their website to the general public. Until now, the innovative, web-based offering was in &apos;? ?public beta&apos;? and available by invite-only to select waitlist customers. Plum Gear makes it easy and straightforward for busy moms and dads to outfit their children.For plans starting at $33 a month, subscribers receive their choice of stylish, second hand clothing from boutique brands like Tea Collection, Kate Quinn Organic, Winter Water Factory and Petit Bateau. After 30 days or more, customers can return their bundle for new styles in the next size up. Consumers pay only one simple fee per month with round trip shipping included in the monthly fee. Plum&apos;? ?s service is economical and fits the recession lifestyle where consumers are looking to do more and pay less. The clothes are always in impeccable condition and parents save hundreds of dollars a year. They also have an incredible worry-free stain policy, so parents don&apos;? ?t have to be concerned about stains or the inevitable messes that come with wearing clothes. To celebrate the public launch, they are kicking off a week of gift certificate giveaways on their Facebook site as well as providing all Momtrends readers with a 25% discount coupon. Simply use code: www.plumgear.com/blogger, and all Momtrends readers will receive a 25% discount off their first month&apos;s subscription (discount will be shown at checkout). 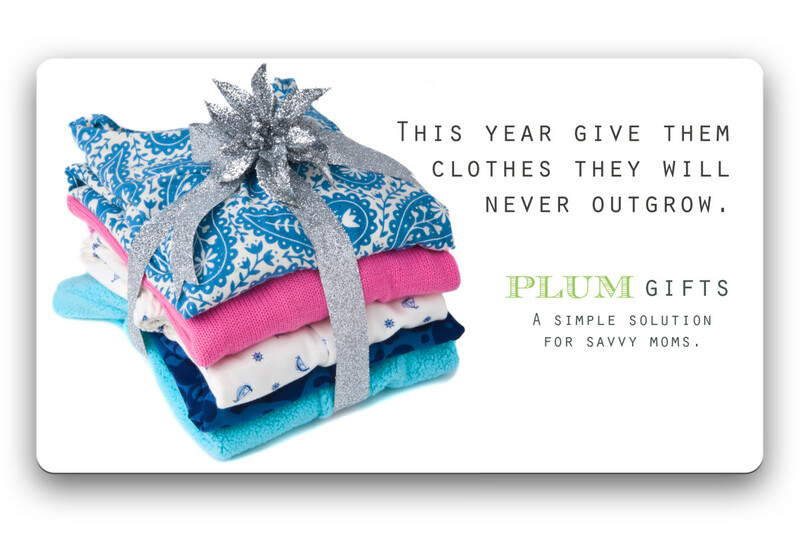 Subscribe at www.plumgear.com, or follow them on Facebook and Twitter.